Srinivasan, Naveen and Pratik Mitra (2016) “Interwar Unemployment in the UK and the US: Old and New Evidence”, South Asian Journal of Macroeconomics and Public Finance, Volume 5, Issue 1, June 2016, pp. 96-112. Srinivasan, Naveen and Patrick Minford (2015) “Can the learnability criterion ensure determinacy in New Keynesian Models?”, South Asian Journal of Macroeconomics and Public Finance, Volume 4, Issue 1, June, pp. 43-61. Srinivasan, Naveen and Pankaj Kumar (2015) “Unravelling India’s Inflation Puzzle”, Chapter 4 in India Development Report 2014-15, (ed. 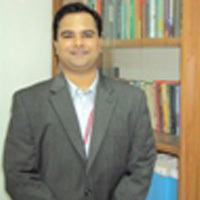 Mahendra Dev S), Oxford University Press, India, pp. 50-62. Srinivasan, Naveen and Pratik Mitra (2014) “The European unemployment problem: its cause and cure”, Empirical Economics, Volume 47, Issue 1, August, pp. 57-73. Srinivasan, Naveen, Pankaj Kumar and Pratik Mitra (2013) “Fiscal Deficits, Credibility and Inflation Persistence: Lessons from Thatcher and Volcker Disinflations”, Chapter 4 in India Development Report 2012-13, (ed. Mahendra Dev S), Oxford University Press, India, pp. 47-58. Srinivasan, Naveen (2013) “A monetarist history lesson for India”, MINT, November 25, Mumbai. Srinivasan, Naveen (2013) “Price stability should be RBI’s guide”, MINT, October 29, Mumbai. Srinivasan, Naveen and Pankaj Kumar (2012) “Inflation Persistence: Does Credibility of the Monetary Regime Matter?”, Economics Bulletin, Volume 32, Issue 4, October, pp. 2944-54. Srinivasan, Naveen and Pratik Mitra (2012) “Hysteresis in Unemployment: Fact or Fiction?”, Economics Letters, Volume 115, Issue 3, June, pp. 419-422. Srinivasan, Naveen and Sudhanshu Kumar (2012) “Zone-quadratic Preference, Asymmetry and International Reserve Accretion in India: An Empirical Investigation”, Journal of International Financial Markets, Institutions & Money, Volume 22, Issue 2, April, pp. 253-263. Srinivasan, Naveen, Sudhanshu Kumar and M. Ramachandran (2012) “A Time-Varying Parameter Model of Inflation in India”, Indian Growth and Development Review, Volume 5, Issue 1, April, pp. 25-50. Srinivasan, Naveen and Patrick Minford (2011) “Ruling out unstable equilibria in New Keynesian models”, Economics Letters, Volume 112, Issue 3, September, pp. 247-249. Srinivasan, Naveen and Patrick Minford (2011) “Determinacy in New Keynesian models: a role for money after all?”, International Finance, Volume 14, Issue 2, Summer, pp. 211-229. Srinivasan, Naveen, Sudhanshu Kumar and M. Ramachandran (2010) “Monetary Policy in a low Inflation Environment: Is there evidence for Opportunistic Behaviour?”, Journal of Quantitative Economics, New Series Volume 8, Issue 2, July, pp. 4-19. Srinivasan, Naveen, Vidya Mahambare and M. Ramachandran (2009) “Preference asymmetry and international reserve accretion in India”, Applied Economics Letters, Volume 16, Issue 15, October, pp. 1543-46. Srinivasan, Naveen, David Meenagh, Patrick Minford, Eric Nowell and Prakriti Sofat (2009) “Can the facts of UK inflation persistence be explained by nominal rigidity?”, Economic Modelling, Volume 26, Issue 5, September, pp. 978-92. Srinivasan, Naveen (2009) “Is the Hybrid New Keynesian Phillips curve immune to the Lucas Critique?”, Journal of Quantitative Economics, New Series Volume 7, Issue 2, July, pp. 96-105. Srinivasan, Naveen, Sumit Jain and M. Ramachandran (2009) “Monetary Policy and the Behaviour of Inflation in India: Is there a need for Institutional Reform?”, Journal of Asian Economics, Volume 20, Issue 1, January, pp. 13-24. Srinivasan, Naveen, Vidya Mahambare and M. Ramachandran (2008) “Dynamics of inflation in India: Does the new inflation bias hypothesis provide an explanation?”, Macroeconomics and Finance in Emerging Market Economies, Volume 1, Issue 2, September, pp. 199-212. Srinivasan, Naveen, and Patrick Minford (2008) “Are Central Bank preferences asymmetric? A Comment”, Economic Notes, Banca Monte dei Paschi di Siena SpA, Volume 37, Issue 1, February, pp. 119-126. Srinivasan, Naveen (2008) “From the Great Inflation to the Great Moderation: A Literature Survey”, Journal of Quantitative Economics, New Series Volume 6, Issues 1&2, January & July, pp. 40-56. Srinivasan, Naveen, and M. Ramachandran (2007) “Asymmetric exchange rate intervention and international reserve accumulation in India”, Economics Letters, Volume 94, Issue 2, February, pp. 259-65. Srinivasan, Naveen, (2007) “Inflation Persistence: An expository note”, Journal of Quantitative Economics, New Series Volume 5, Issue 1, January, pp. 32-37. Srinivasan, Naveen, and Patrick Minford (2006) “Opportunistic Monetary Policy: An Alternative Rationalization”, Journal of Economics and Business, Volume 58, Issue 5-6, October-November, pp. 366-372. Srinivasan, Naveen, Vidya Mahambare and M. Ramachandran (2006) “UK Monetary Policy under Inflation Forecast Targeting: Is Behaviour Consistent with Symmetric Preferences?”, Oxford Economic Papers, Volume 58, Issue 4, October, pp. 706-21. Srinivasan, Naveen, Vidya Mahambare and M. Ramachandran (2006) “Modelling Inflation in India: A Critique of the Structuralist Approach”, Journal of Quantitative Economics, New Series Volume 4, Issue 2, July, pp. 45-58. Srinivasan, Naveen, and Patrick Minford (2006) “Understanding the Opportunistic Approach to Disinflation”, Journal of Quantitative Economics, New Series Volume 4, Issue 1, January, pp. 49-64. Srinivasan, Naveen, Patrick Minford and Francesco Perugini (2005) “The Observational Equivalence of Taylor Rule and Taylor-Type Rules”, in Trends in Macroeconomics Research, (ed. Pelzer, Lawrence Z), Nova Science Publisher Inc, August, pp. 1-14. Srinivasan, Naveen, and Vidya Mahambare (2004) “Monetary Policy Framework of the Bank of England and the European Central Bank: Some Useful Insights”, Indian Economic Review, Volume 39, Issue 2, July, pp. 371-381. Srinivasan, Naveen, and Francesco Perugini (2004) “Why did Japan Stumble? A Review”, Quarterly Economic Bulletin, vol. 25, no. 1, April, pp. 21-27. Srinivasan, Naveen, and Francesco Perugini (2003) “Enlargement of the EU and challenges ahead for the ECB”, Quarterly Economic Bulletin, vol. 24, no. 4, December, pp. 30-33. Srinivasan, Naveen, Patrick Minford and Francesco Perugini (2003) “How different are money supply rules from Taylor rules?”, Indian Economic Review, Volume 38, Issue 2, July, pp. 157-66. Srinivasan, Naveen, and Francesco Perugini (2003) “Credibility and Monetary Policy”, Quarterly Economic Bulletin, vol. 24, no. 2, June, pp. 21-24. Srinivasan, Naveen, and Francesco Perugini (2003) “The Fears of Deflation: Why and Is it Real?”, Quarterly Economic Bulletin, vol. 24, no. 1, April, pp. 18-22. Srinivasan, Naveen, and Francesco Perugini (2002) “Is the ECB’s ‘Two–Pillar’ Monetary Policy Strategy Credible?”, Quarterly Economic Bulletin, vol. 23, no. 4, December, pp. 17-20. Srinivasan, Naveen, Patrick Minford and Francesco Perugini (2002) “Are interest rate regressions evidence for a Taylor Rule?”, Economics Letters, Volume 76, Issue 1, June, pp. 145-150. Srinivasan, Naveen, and Francesco Perugini (2001) “Population Ageing, Invisible Debt, and Needed Pension Reforms: A Case of Japan”, Quarterly Economic Bulletin, vol. 22, no. 2, June, pp. 19-26. Srinivasan, Naveen, and David Meenagh (1999) “The State of Labour Market in Europe”, Quarterly Economic Bulletin, vol. 9, no. 1, March, pp. 28-35.